Place of birth: Schoten, Belgium 1967. Profession: diving Instructor, coral reef documentarist, rigger. Hobby's: underwater photography, playing drums and listening to music. Already since his first time at the seaside, he was fascinated by the sea itself and the creatures living in it. Snorkeled on every moment when possible, rivers, lakes, deltas, North- and Mediterranean Sea. Started scuba diving and got certified as a CMAS 1* in '89. Made his first underwater photographs during a trip to Thailand in `90, using a disposable underwater camera. 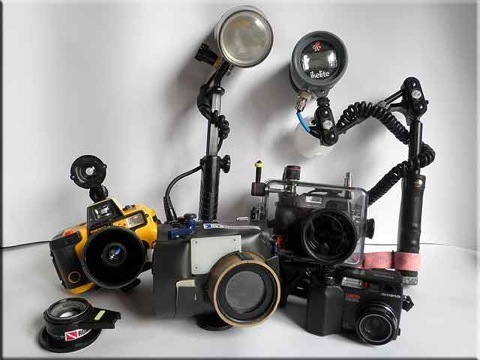 Some years later, the diving education continued and the cameras changed. 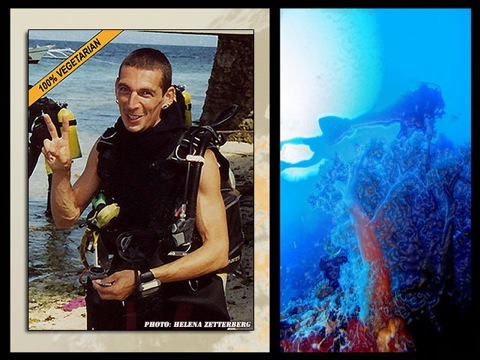 Became a certified diving professional in 1996, because he noticed that this was the way to stay long and close to the nice tropical waters and their inhabitants. During the years he photographed marine life in the Philippines, Thailand, Malaysia, Indonesia, Maldives, Egypt, Holland and Belgium. 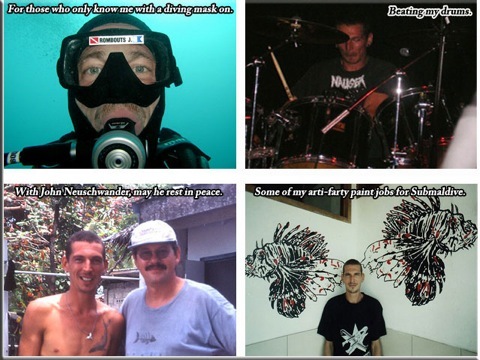 The goal was to make his own coral reef guide, which he started in 2009. Now the new goal is to keep myreefguide going and growing, so you and your friends have a new source to find and determine what you have seen in the most beautiful world. His photographs are not made to perfection, but for the collection. 2000 - Made the photo CD "Diving Moalboal" (Philippines), which got sold in the local dive shops. 2000 - Photo publications in the Swiss CMAS magazine Nereus, a four page story about a Swiss dive shop based in the Philippines. 2001 - A one page story and photograph about one of his first whaleshark encounters, published in the Philippine and Thai diver magazine. 2007 - Photo publications in the dutch book "Kweken met zeewatervissen" (breeding saltwater fish) from Tom Verhoeven. 2015 - Photo publications in the the fishGuide TV Indopazifik App from JAHR TOP SPECIAL VERLAG GMBH & CO. KG, powered by TAUCHEN. A part of myreefguide history.